Modular Storage Systems is a Pallet Racking supplier based in Yatala servicing Brisbane & the Gold Coast with quality products and service. Modular Storage Systems, based in Brisbane, provide quality, compliant Pallet Racking and Shelving systems that stand the test of time. Our products are tested by Brisbane based structural engineers, ensuring they exceed the requirements of Australian Standard AS4084-2012. This ensures compliance, safety and peace of mind. Modular Storage Systems SUPPLIES PALLET RACKING FROM OUR ORMEAU based warehouse. OUR WAREHOUSE is FULL of Pallet Racking STOCK ready for quick supply and is perfectly located to service clients throughout Brisbane, Toowoomba, Sunshine Coast, Gold Coast and the rest of Queensland. 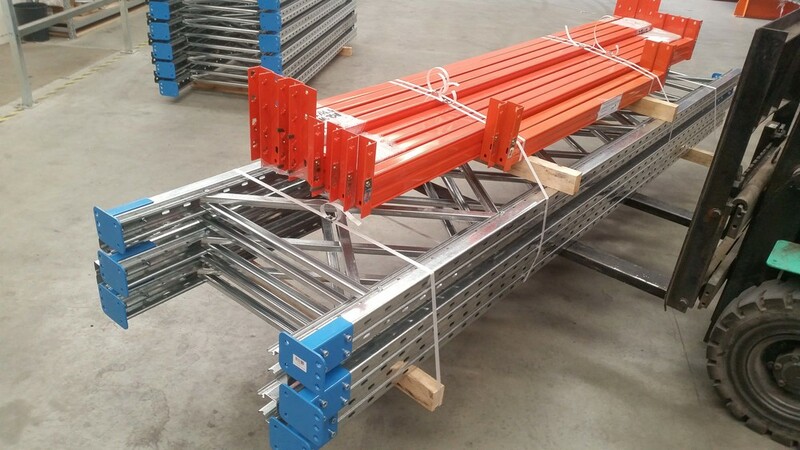 All parts supplied by Modular Storage Systems including Pallet Racking beams, Uprights, frames, connectors and hardware are manufactured from high tensile steel. Our standard uprights are supplied heavy duty with a rear flange and we have a range of box beams to suit just about any weight carrying capacity required. The Modular Storage Systems design team is always investing time and money back into product development to ensure the products we supply are reliable now and into the future. Most importantly, Modular Storage Systems extensive range of competitively priced Pallet Racking parts are available in our Yatala Warehouse for quick despatch in Brisbane, throughout Queensland, and Australia wide. Easy, cost effective and versatile. Selective pallet racking is the most common type of pallet racking on the market - this is due to the flexibility, easy access and low cost investment of the system. Pallets are stored side by side and single deep meaning the forklift operator has 100% access to any single pallet at any time without having to move other stock. This saves the operator and the business time. Selective pallet racking can be installed in large quantities but is also just as effective when someone wants to move just a few pallets off the floor to create additional floor space. Our Pallet Racking Frames are supplied with pre-galvanised finish uprights and bracing. Our uprights are a heavy duty 90mmW x 70mmD x 2.0mm section. Bay load capacity is established based on the pallet racking beams being used and their installed heights — contact our design team to help design your specific project. 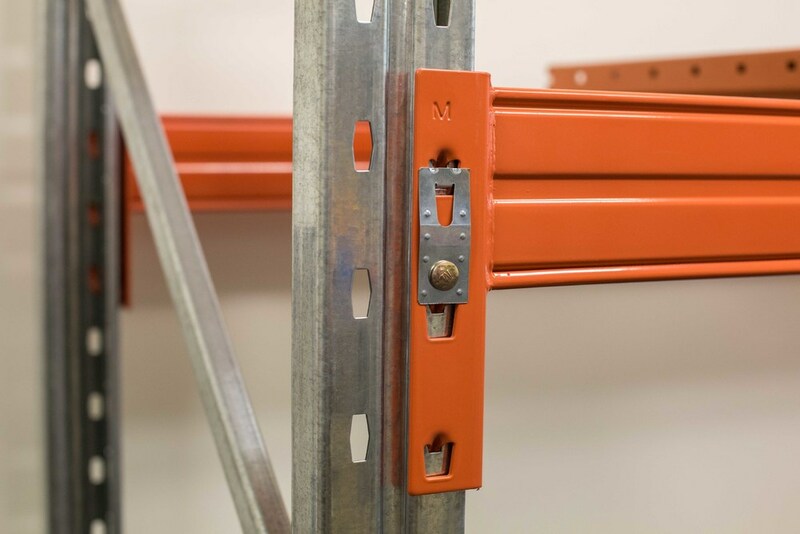 Modular Storage Systems Ormeau Pallet Racking Beams are powder coated safety orange. Two 'C' channel sections are interlocked and welded at a 50mm width to increase the load carrying capacity. Our standard Pallet Racking Beam lengths are listed below however we can customise the length of our pallet racking beams for specific applications. 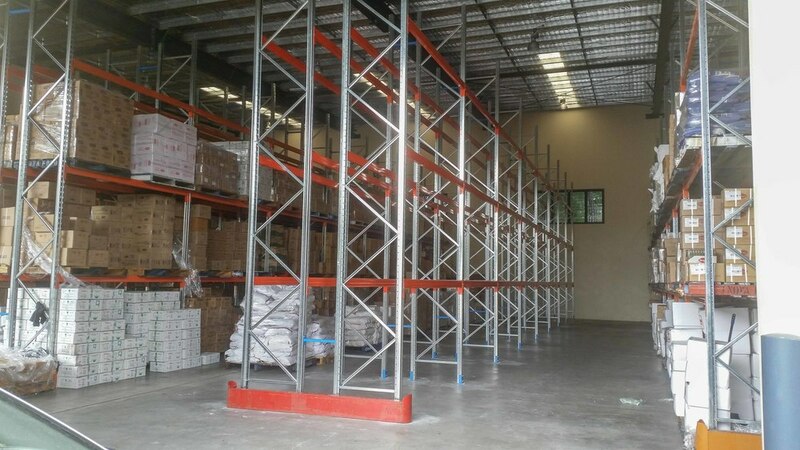 As our office is located at Ormeau, in between the Gold Coast and Brisbane, industrial pallet racking can be quickly and efficiently delivered to these areas. Contact us for more information.